Now a Days Russia has become the Popular Destination among International Students for Medical Studies because of its Global Standards and Low Fee Costs. There are so many Good Medical Colleges in India. And the Medical Education in Russia is subsidized by 60-70% by the Russian Government. Compared to Other Western Countries the Tuition Fee in Russian Medical Colleges is very low. The Medical Colleges in Russia Don’t accept any donations. The Cost of MBBS in Russia costs around 4000 Dollars per year which is an approximately same cost in India. Though it is the same cost, the Competition for Medical Seats in India is very high, and also we need to pay donations to get the Seat. So for the candidates whose dream is to become a Doctor, Russia is the smart choice. By choosing Russia, you would get an opportunity to study in World Ranked Medical Universities with No Capitation Fees/Donations whereas it is not possible in Other Western Countries and India. Out of 100 Top World Ranking Universities, 30 positions are occupied by the Russian Colleges itself. And the Admission Process for MBBS in Russia is also very easy. 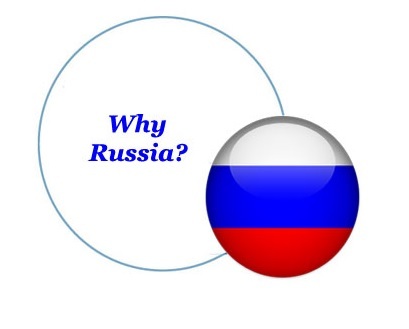 Why Only Study MBBS in Russia? When planning to Study MBBS in Abroad why Indians choose Russia is because of its quality education. Not only the Indians, but the Indian students also showing interest from 15-20 years there is an increase in the number of International Students coming to Russia for Medical Education. And the Russian Universities also maintains up-to-date syllabus required for the screening test, and they prepare students for Screening Test for the first year itself. So while Returning to India Students will not face a problem with Screening Test. This is the main reason why India Students prefer to Study in Russia. And the important thing that attracts aspiring candidates to study in Russia is its quality of education. Russia is also the safest place for Education, From 15 years the Indian Girl Students enrolled in various Medical Programs such as MBBS, BDS, and Postgraduate Courses is more compared Boys. And another most important thing that brings international students to study in Russian Medical Colleges is that they do not require any Entrance Examinations. Compared to the other western countries the level medical education in Russia is also well-developed and advanced. 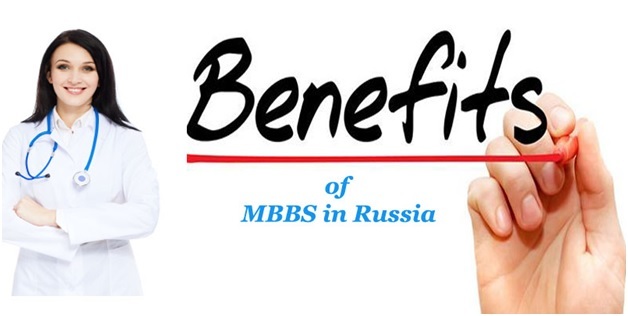 Because of these reasons International Students shows interest to study MBBS in Russia. Russia is the Largest Nation in the World having borders with European and Asian Countries as well as the Pacific and Arctic Oceans. Russia has a wide and Adventurous History. Due to the past wars and revolution this country has continuous progress in technology and medical needs. And its Capital City Moscow is one of the Largest Cities in the world. 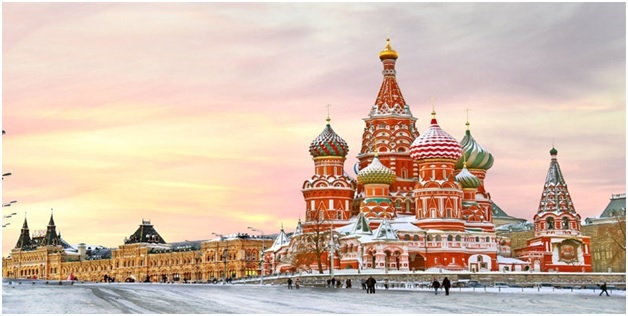 So you will have a Great Experience while studying in Russia. And coming to the Education Russia offers a quality education to the students compared to other Western Countries, and especially in Medical Education. Russian Government offers Subsidy and does not accept any donations. Then who does not want to go for MBBS in Russia for quality Education at a low cost? And it follows special standards in Medical Education and maintains up-to-date syllabus which enhances student ability to clear Screening Tests. Along with the Education, Russian Economy is also one of the strongest economies in the world. It is Twelfth largest by nominal GDP and sixth largest by Purchasing Power. So the Students like to Settle in Russia will also get Beneficial from this. Who can do MBBS in Russia? There are no Entrance Tests required to get Admission in Medical Universities in Russia. The Students who have completed 12th Standard or equal Education with 50% Marks in the Physics/ Biology/ Chemistry/ English are eligible to pursue Medical Education in Russia. 40% Marks is sufficient for Reserved Candidates to Study MBBS in Russia. Candidates will get admission based on 12th Standard Score only. But the Students whose Age between 17 to 25 years are only eligible to apply for MBBS in Russia. This Upper Age limit will be relaxed by a period of 5 years for SC/ST/OBC Candidates. After completion of Medical Course in Russia, the candidates returning for practice in India should take the qualifying test known as Screening Test. This rule is applicable for all students regardless of the country where they have completed their Medical Degree. And according to the MCI Guidelines, the students wish to Pursue Medicine in Russia should complete their course from a university recognised by the World Health Organization (WHO) and UNESCO. Separate Hostels for boys & girls. Wi-Fi hotspots within the campus. Students can get good practical knowledge, and much more. The Medical degree gets from the Russian Universities is recognized worldwide. 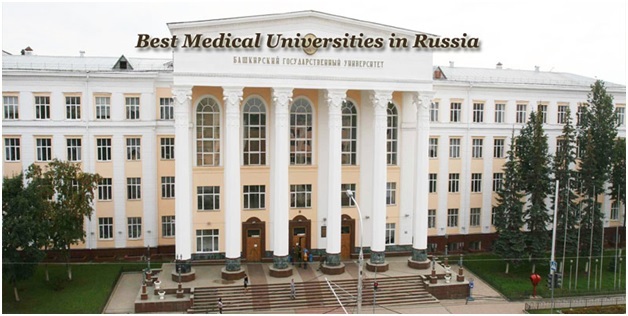 There is a number of Medical Colleges in Russia with World class faculty. And the MCI Approved Medical Colleges are in Top 10 Medical Universities list also. Bashkir State Medical University in Russia. VOLGOGRAD State Medical Academy, Russia. VORONEZH State Medical University, Russia. St. Petersburg State Medical University, Russia. Studying MBBS in Russian Medical College is definitely will be less compared to Indian Medical Colleges because the Russian Medical Schools don’t accept any donations. At very low-cost Students can get all the benefits of a good medical university. But the Tuition fee depends on the Type, Grade, and Location of the University. Compared to the Medical Programs taught in Russian Language English Language courses would cost more. And while you are studying in Russia you also consider your Food, Accommodation, and Living Cost, etc. Tuition Fee for Entire MBBS Course. Food and Living Cost for the entire course. Hostel Accommodation till completion of the course. Travelling and Other Miscellaneous Costs. In Russia, The Tuition Cost around 3 Lakhs Per annum including Living and Accommodation charges the Cost of Studies in Russia costs around 30 to 40 Lakhs. Russian Universities charge Low Tuition Fee. English Medium Medicine Courses are available. WHO & MCI Recognised Medical Colleges are available. Can get a Globally Recognised degree. One of the Best Education systems in Europe & Asia. Perfect Academic, Sports, and Diversion Facilities. There is no need to take any Specialised Entrance Tests to Study MBBS in Russia. The Russian Medical Colleges provide Admission based on their 12th Standard Marks. 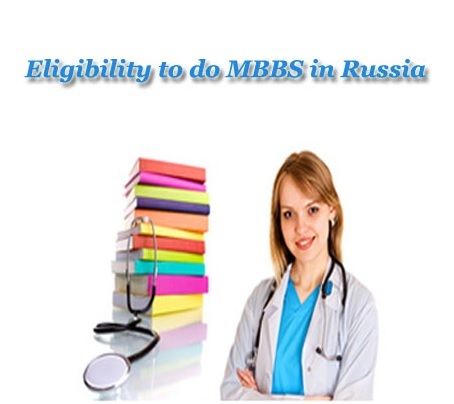 You can check the Eligibility conditions to apply for MBBS in Russia before applying. And the Admission Process of Russia is also very easy. You can just follow the below steps to apply for Medicine in your Favourite Medical College in Russia. First Select the College and MBBS Program which you want to apply for. And get the Application form from the selected Universities. Fill the Application and Submit it along with the below-mentioned documents. Five Copies of Personal History Statement (PHS). Two Copies of Transcript of Records (Original or Authenticated Copy). A duly Notarized Affidavit of Support from Abroad. A Certificate of Good Moral Character from two officials from the Institution where He / She obtained their Degree. Certificate from a College Instructor/Professor. Original Copy of National Medical Admission Test (NMAT) Results. Through the Admission Process for Russia is easy, Candidates are advised to apply through the Educational Consultancy to Study MBBS in Russia for 100% Guarantee Admission in one of the Top Medical Colleges in Russia. Admission to MBBS Colleges in Russia for the 2017-18 Academic year has been started. Students who are going to do MBBS in Russia have to apply for Medicine courses as early as possible. Because there is a huge competition for MBBS seats in Russia. So, the Universities in Russia follow first come first serve technique to allocate the seats to the candidates. And there is an extra benefit to the students who apply early. Candidates who don’t know the admission process for studying MBBS in Russia can read the below information carefully. In this section, we have provided step by step detailed information for knowing the procedure regarding the MBBS admission in Russian Universities. Follow the below steps for the quick process of Admissions in Russian Medical Colleges. Read the entire procedure without missing any point. With the help of these steps, you can apply easily for MBBS courses in Russia. 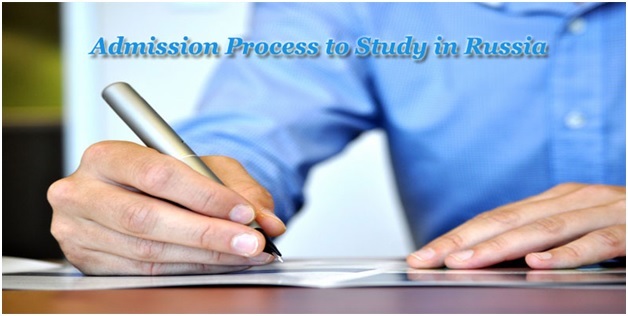 And these steps will help you to know the admission process of MBBS in Russia. First of all, students who are going to study MBBS in Russia have to fill the application form of the particular university/college either by themselves or by taking help from the consultant. After filing the application form, attach the required documents, like passport, educational documents, photo, etc. Submit the application after attaching all the documents(scanned). After that, you will receive the admission letter from the applied university. Now, you have to take the visa on the basis of the admission letter send by the Embassy of the Russian Federation. Fill the visa form with proper information and attach passport size photographs with that form. At last, you will get the visa for studying MBBS course in Russian Universities. Now leave the country and go for your dream. After reading all these steps, you think the admission process is quite simple. Of course, it is an easy process but please take the educational consultant advises before going to apply for MBBS seat in Russia. Note: If you don’t have the passport then immediately apply for the passport on the basis of the admission letter. In this section, we are going to discuss the courses regarding the MBBS in Russia for Indian Students who are going to apply for Medicine courses in abroad. In the world, there are many popular countries to offer the MBBS education with quality content for students. But our suggestion is MBBS in Russia is the best option in overall countries. You will get a great experience when you study MBBS in Russia. Because it provides rich heritage as well as top and quality education for the students(including foreign candidates). So, study MBBS in Russia will give you a bright future. Russia is the largest country in the world with different time zones and cultures. It incorporates a wide range of landforms and environments and has rapid growth in technology, education, transportation, etc. And you can also observe the various regions cultures, many inventions, arts, in Russian country. So, studying and living in Russia is really an enlightening experience to the candidates. 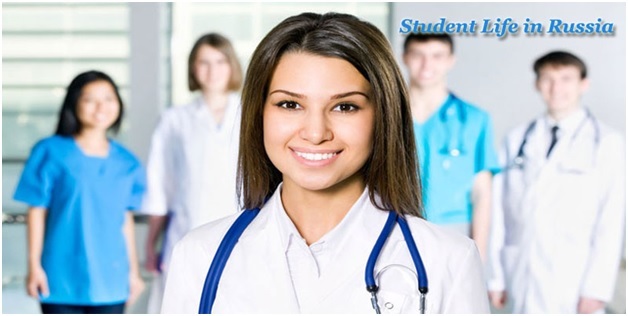 Here we have given some important factors regarding the MBBS in Russia for Indian Students. Interested candidates can read the following information to know the details of Medicine courses in Russian Universities. Globally Recognised Medical Degree: The Universities in Russia which offers medical courses globally recognised by many organisations like world health organisation, Medical and Dental Council of India, European Union, The International Medical Education Directory, General Medical Council UK, etc. So, students who have completed their MBBS graduation degree in Russia are eligible for the MCI (Medical Council of India) Screening Test. Not only the MCI Test but also eligible for any countries screening examination. Because Russian Medical Colleges are globally recognised through all countries. No Entrance Test: In India, many students fail to study MBBS course due to very tough entrance examinations which are used as admission criteria. But in Russia, there is no that type of entrance test to study Medicine. So, getting MBBS seat in Russia is quite easy when compared to India. You just meet the minimum requirements to join in Medical colleges in Russia. High-Quality Education: Russian Universities provide both theoretical and practical learning courses for students. And they deliver most effective teaching methods for easy learning. For students, the universities provide highly trained professors who deal International students with effective teaching. The innovative teaching methods and modern instruments will provide quality education to the students. The Russian medical colleges offer medical courses in the English language for foreign candidates. Because rather than learning a new language, English is better for all the students to concentrate on learning medicine. Low Fee Structure: Generally, studying MBBS in India is very expensive. However, the cost of doing medicine in Russia is very low when compared to other countries including India. The fee structure of MBBS Universities in Russia is very affordable to the middle-class families in India. And the Russian government gives subsidizes for medical and government Universities which offer scholarships to the students. So, students who are having the interest to study MBBS in abroad choose Russia country for doing medicine with less amount. Quality Hospitals for Internships: All the hospitals in Russia offer Internships to the medical college students during their medical course. Because practising will give the high quality of education to the candidates. For that reason, Russian MBBS universities offer both theoretical and practical courses for the students. And the Russian medical colleges use the most advanced medical equipment and innovative medical instruments for practising. The hospitals have the capability of housing a large number of patients and students with providing a peaceful environment and exquisite health care. Good Living Facilities: Students who belong to India don’t get worried about their accommodation in Russia. The Russian Medical Universities provide separate hostels for foreign students with hot or cold water with low cost. And non-vegetarian and vegetarian dishes are available for all the students along with the central heating facility in their hostels. So, study MBBS in Russia is the best option for the Indian students.